The lighting was difficult to control on this one but checking the histogram kept me from burning out the highlights on the setting sun through the white feathers of this Spoonbill. 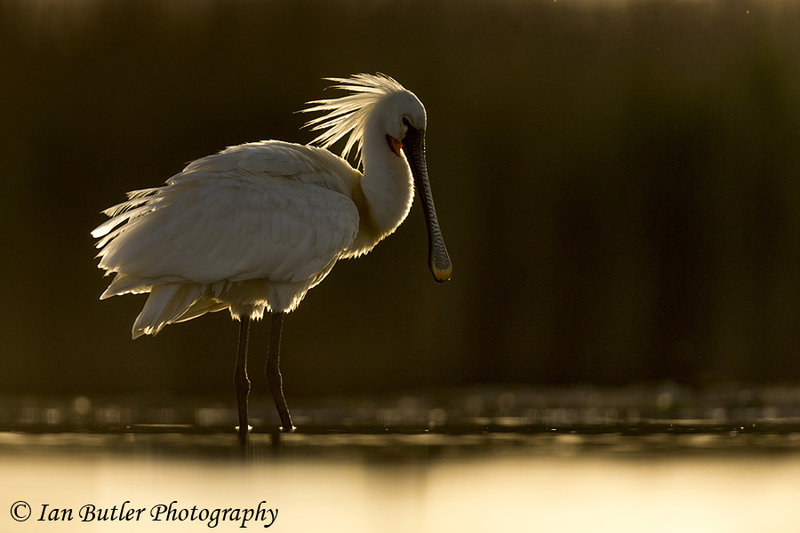 Spoonbill, Platalea leucorodia, Hungary, May, 2013. Canon 5D Mark III with Canon 500mm f/4 L IS lens and Canon 1.4x converter.